Back to school time was one of the times I hated as a kid. It was stressful, awkward and very emotional. 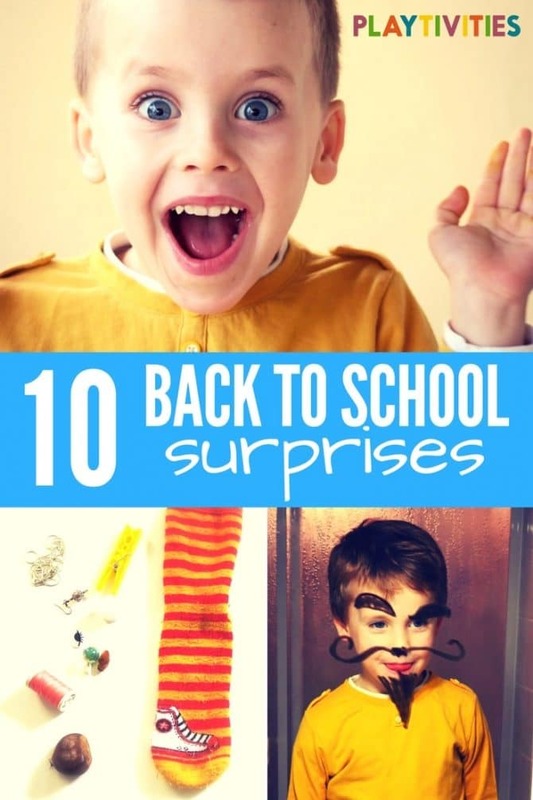 Back to school fun surprises for kids was something that I started couple of years ago to take the stress away and make the whole back to school process more fun and memorable. 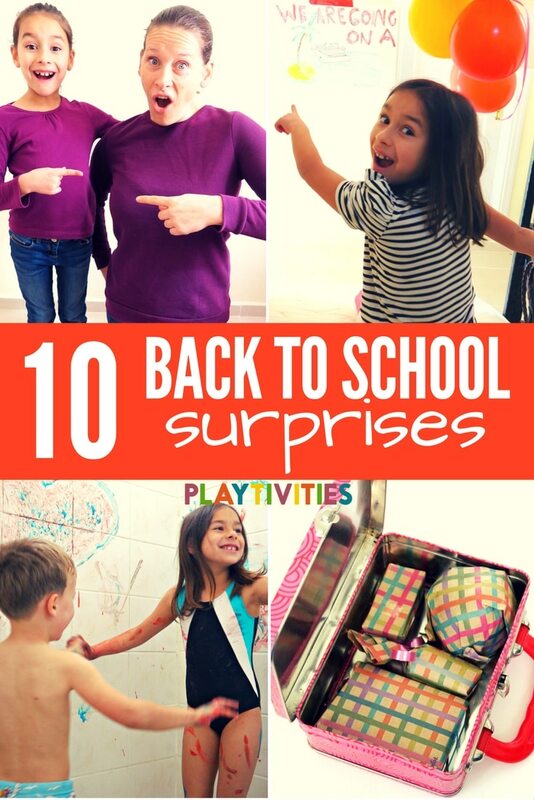 You can do one back to school surprise every Monday to excite your kids for the entire week! Tooth fairies make the pain in our child’s gums go away by their surprise visits! You can write a small letter to your kid to make them smile when they wake up. You can make each tooth falling special by inserting a small letter from the tooth fairy! You just need a set of colorful whiteboard markers to brighten up your kid’s morning! You can draw anything on the mirror, any animal or make your daughters look like a princess by drawing a crown! Your kids will have fun in front of the mirror while dressing up or while brushing their teeth! Old photos of your kids have unforgettable memories. You need to print old photos so you can surprise their school lunch time! Write a small note at the back of each photo so you can tell them the story of each photo. Insert it in one of the snacks so once they open it, they can see the photo. Make them feel like you are with them during school lunch time! Don’t forget to put a lovely message. Everybody loves opening presents! Though they know it’s lunchtime and the food is wrapped, they will be ecsatatic to open each snack or each food. You can also include a small toy in one of the presents so at least they can play after eating. Through wrapping each snack or food makes their lunch exciting! Who doesn’t love edible art? Eating nice-looking pasta is one of the best experiences to have with my kids. They enjoy eating it and you can also let them join in making and cooking this colorful pasta! Blue and red spaghetti are super easy to make! If the kids are a little stressed out at school, treat them! You can decorate a poster that tells them to pack up for a 2-day road trip or you can play charades with them first, to let them know where you’ll be going. A family trip can be anywhere! Good thing, your children doesn’t mind where you are going, as long as you are going out! Oh, I think anyone who has a child would love twinning with their son or daughter! It can be a dress, or a top or the whole outfit! You can wear this during a family trip to the mall or to anywhere! Mother-daughter or Father-son twinning is just so irresistibly cute! 8. What’s in the sock? I you have extra socks to spare, put in a few toys and surprise your kids with this fun game when they get back from school! A twist in guessing games made more fun by putting things into a sock! Taking a bath is not always fun, so make sure your kids will be excited to shower everyday! Buy a few water-based colored pens and let them play in the bathroom before taking a bath. Don’t forget to take pictures of their wall art. Lastly, our kids don’t expect us to play role-playing with them especially wearing costumes. You have to sneak out to your car so your kids won’t see you in costume! Superhero costumes and Halloween masks will be useful early in the year!